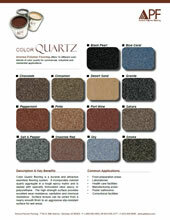 Color Quartz flooring is a durable and attractive seamless flooring system. 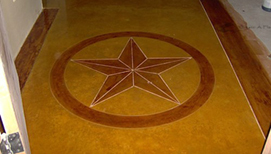 It incorporates colored quartz aggregate in a tough epoxy matrix and is sealed with specialty formulated clear epoxy or polyurethane. 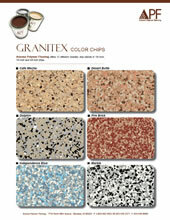 The high strength surface provides excellent wear resistance, sanitation and chemical resistance. 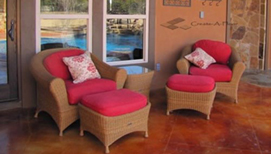 The surface texture can be varied from a nearly smooth finish to an aggressive slip - resistant surface for wet areas. 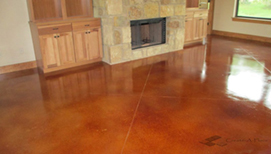 Epoxy flake system is a composition of multicolored paint chips embedded in a pigmented base coat and sealed using a clear epoxy. The high strength surface provides excellent wear resistance, sanitation and chemical resistance great for hiding imperfections or stains.